We are a family-owned and operated winery located on the Beamsville Bench. 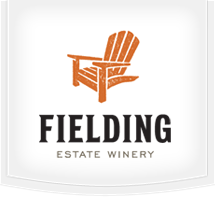 Inspired by the Fielding's home in the Haliburton Highlands, our wine lodge has a beautiful view overlooking lake Ontario. We only produce 100% VQA Niagara wines. Our wine club is bi-monthy and ships two bottles bi-monthly. We have a prepaid option which covers the year for $350 and includes a bonus wine. There is also the option to pay per shipment. We have cheese plates available for purchase from 11-5 daily in the retail store. Occasionally we have events where there are more food options. Retail Store Hours - 11:00-6:00 (June-September), 11-5:30 (October-May). Tours and group tastings are available by appointment year round.